response from property - Feb 10, 2017 Thank you for your review Arnoldo. We have enjoyed having you as a resident and look forward to another great year with you at 100 Midtown. Although the windows cannot be open, the building does employ a system to keep fresh air flowing throughout. 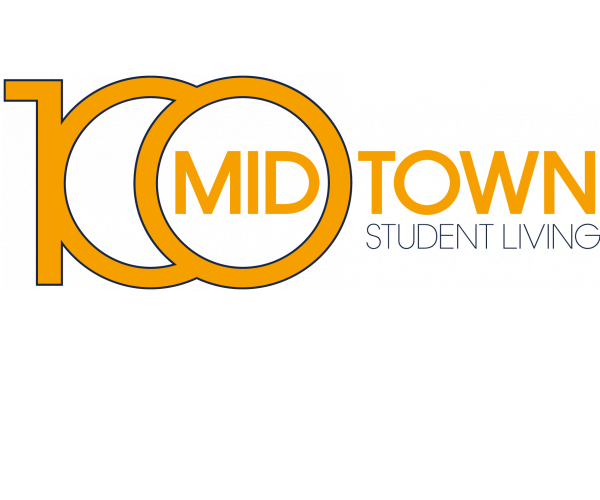 In general I like my experience in 100 midtownsubmitted by Ta -. - Jan 09, 2017 |Recommended: YesIn general, I like my experience in 100 midtown. I only list few points I wish they could be improved. 1. The internet crash during final exam last semester was totally a disaster 2. Fire alarm was way too sensitive Waking up at 6 am once wasn't too good. 3. I wish cleaning people don't forget things in my apartment P Last time she forgot a brush in my toilet and then left bleach in my living room. Finally, people working in front desk are extremely helpful and I love them. response from property - Jan 11, 2017 Thank you so much for your review. We are currently working with DirecPath to help prevent future internet problems and we will remind the cleaning people to be diligent in removing any items they bring into your home. Thank you for your kind words regarding the front desk staff, we have truly enjoyed having you as a resident and look forward to a great rest of the year. A great place to live. Especially when the construction is done.submitted by Carsten D. - Nov 29, 2016 |Recommended: YesI moved in in August and I have to say everything about these apartments are pretty stellar. My only issue which is entirely out of 100 Midtown's control are the two construction projects close by that feel the need to start at 7 30AM and wake me up. The staff is very friendly and helpful though and they work very hard to make this a welcoming and safe community. I would absolutely recommend living here. Just if there is any construction going on nearby I would invest in some ear plugs for your own sanity. Good place for first-yearssubmitted by Yulian Y. - Nov 14, 2016 |Recommended: Yes100 is very close to the campus of GT, about 5 mins' walk. But GT has a relatively big campus, i need 15 more mins to get to my office. response from property - Nov 15, 2016 Thank you so much for the kind review! We have truly enjoyed having you as a resident and look forward to the rest of the year! You get what you paysubmitted by Sang J. - Jun 29, 2016 |Recommended: YesI have lived in the Flats and have visited Westmar enough times to know how things are. Simply put, both apartments have better quality in terms of the apartment stand point Their rents are little higher as well . However, 100 Midtown is a very recommendable place if you are a quiet scholar who is also preferably a Georgia Tech student due to how close this complex is to the campus.